Technology has cast a wide-reaching net over virtually every aspect of daily life. Even mundane tasks like reading have been transformed over the years. It arguably started with newspapers and magazines as many turned to the web for speedier and more up-to-date information. 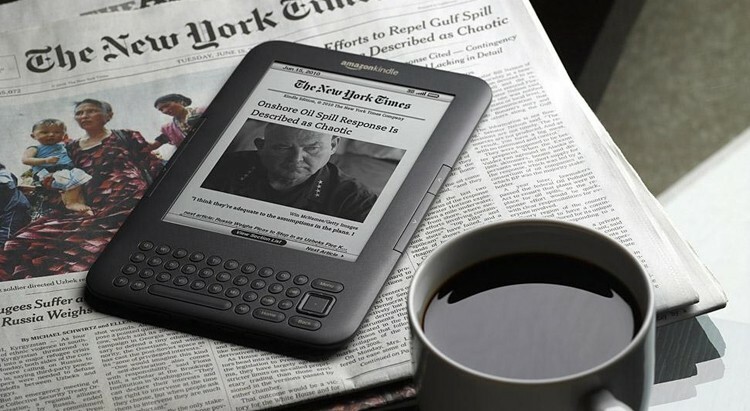 More recently, e-book readers, tablets and even large-screen smartphones have cannibalized the publishing industry. People are still reading books, mind you, it’s just that more and more people are putting down the physical book in exchange for digital copies. With this weekend open forum, we want to know how you read books these days. Do you prefer the trusty paperback or hardcover book or would you rather kick back with a Kindle or other form of digital device to read from?